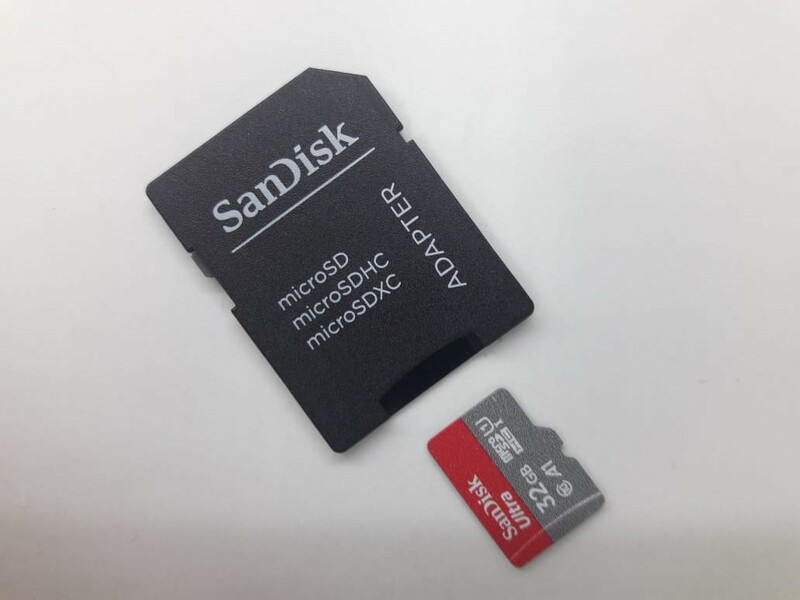 1. microSD card. I use 32 Gb microSD. 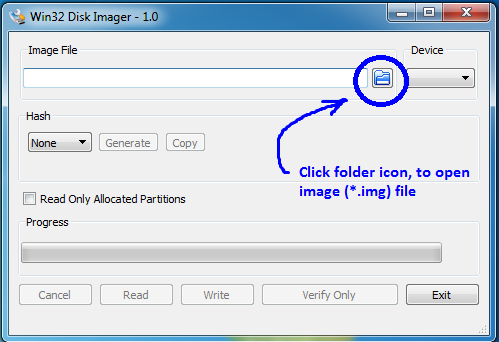 Install Win 32Disk Imager application software on your computer. This software will help us to copy all of Raspbian OS image files into microSD card. Insert the microSD card into the microSD adapter. See figure 1. 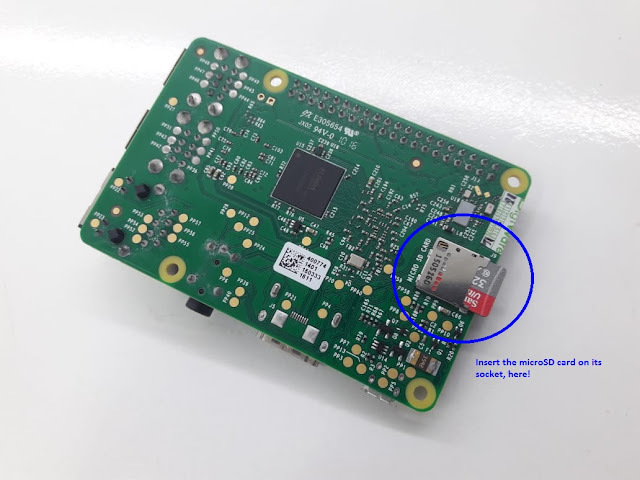 Insert the microSD adapter into your computer card-reader. Launch Win32 Disk Imager application software that have installed on your computer already. See figure 2! 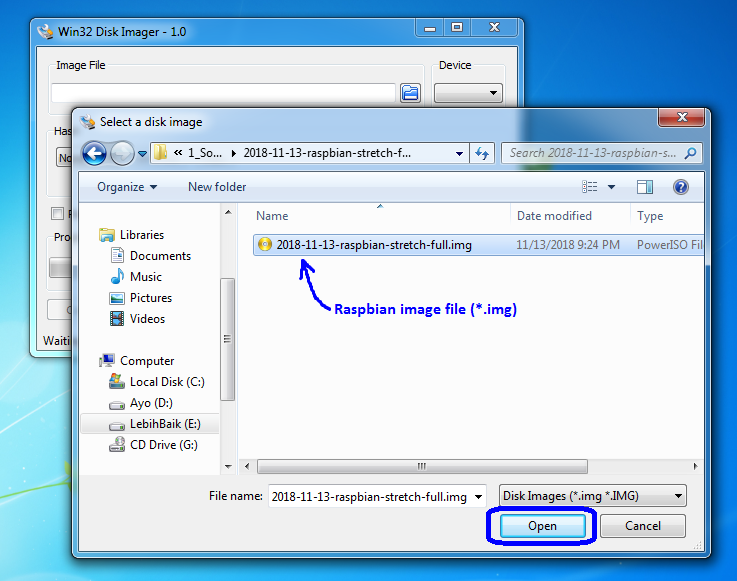 Find the Raspbian OS image files that you has downloaded and store into your computer hard-disk (HDD) and then click “Open” button. See figure 4! Make sure that your microSD card has detected by the Win32 Disc Imager application software. See figure 5 on “Device” block. 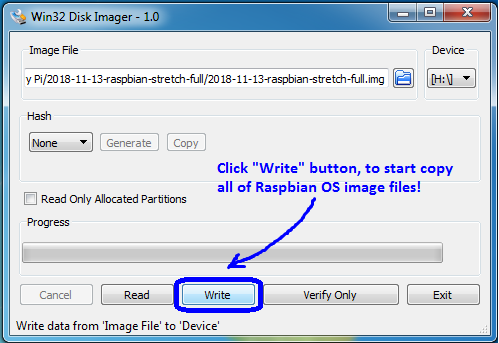 After that, start to copy all of Raspbian OS image file into the microSD card. Click “Write” button. See figure 6! After the copying process has been completed, then click “OK” button. 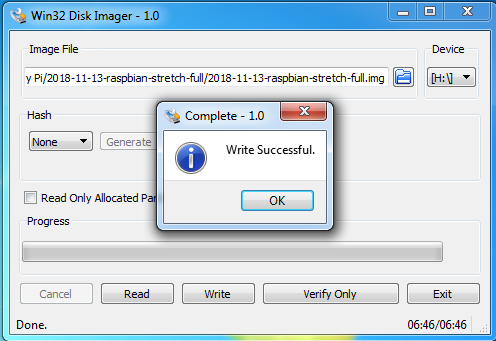 So the Raspbian OS installation into microSD card has been finished. Next, insert your microSD card into the microSD card socket on your Raspberry Pi board. See figure 10! 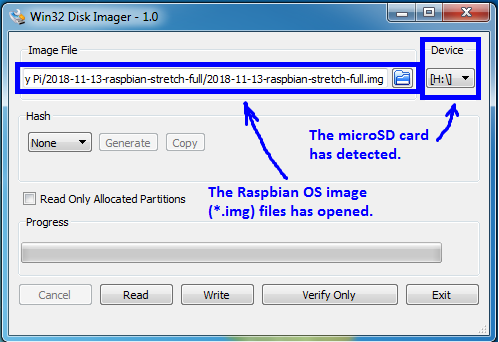 0 Comment For "Raspbian OS installation into microSD card"